For as long as the internet has been around, finding a way to protect data as it traverses from one point to another has been a major challenge. And at Syniverse, we’ve been working with our customers to address these challenges, which have become even more urgent in the wake of the accelerated frequency and sophistication of today’s cyberattacks. Here’s how. Consider that the public internet now underpins countless billions of personal and important business exchanges and transactions every day. But the paradox of the public internet is that despite how we use it today, it was never designed to be a secure or trusted environment. It was conceived as a network for academics and researchers to share data, not protect access to it. While it’s a miracle that the public internet has been adapted to keep business operations secure, companies should now be asking themselves whether they should even be relying on the internet to do the job at all. In fact, in just the last few years, the world has seen calamities like distributed denial of service attacks on a scale not able to even be imagined until recently, attacks that have taken down business web servers worldwide and hit some of the largest banks, retailers, media companies, social networks and news outlets in the world. According to Juniper Research, the average cost of each of these kinds of cybercrimes will increase to over $150 million by 2020. While virtual private networking (VPN) has made it possible to establish private networks over the public internet, the fundamental design of these networks hasn’t kept pace as technology has expanded and become more complex over the last 20 years. Lacking alternatives, companies have been forced to use VPNs to protect data in transit between their databases and customer and partner systems, but without an affordable way to manage a private line connection to every major location across the world. Consequently, public internet channels are available to being viewed, manipulated, or damaged by malicious activity, and there are no service-level agreements protecting the delivery of sensitive data and no one to call in case of an outage. While many network security companies have joined in an arms race to find the next generation of cryptographic algorithms for preventing cyberattacks, the fact is that these measures would only delay attacks, at best. Instead, there needs to be a way for companies to send data securely over a separate network, completely detached from the vulnerabilities of the public internet. And the deployment of private, isolated networks has the potential to offer just such a solution for securely passing traffic. Simply put, a private, isolated network never touches the public internet and provides a way to share data safely and independently. As companies connect to this “members only” network, more access points are available for a company to easily and securely share information. What’s more, this network allows easily scalability and support for any traffic type, and, depending on the type of traffic, class of service can be applied and enable some types of traffic to be given priority. Security, privacy and isolation from the public internet in order to protect valuable corporate and public data and assets. Connectivity global in scale but flexible enough to address specific vertical market needs. High capacity, high speed, and low latency to meet the needs of new, unanticipated use cases. Attribution capability to grant or deny access accordingly. Keeping these four capabilities in mind, companies that want to conduct business with certainty, security and privacy should not be relying on today’s public internet. As the proverbial cat-and-mouse game plays out around secure network transport over public internet channels, the most secure network has become one that is a private, isolated network. It’s imperative that today’s companies begin putting a standard strategy in place soon for establishing this network. Nate McRoberts is a Solutions Engineer at Syniverse's headquarters office in Tampa, Florida. Excellent article Nate! 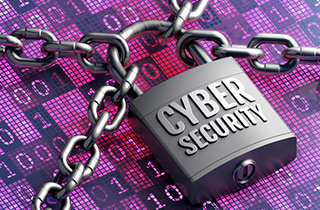 The average cost of a cyberattack is staggering, not to mention the impact to the brand.